This suggests the brain may not be needed for breathing. Medical researchers from Case Western Reserve University have developed a treatment that could herald a breakthrough for patients with spinal cord injuries. Using a combination of drug and light therapy, the researchers successfully activated an alternate nerve pathway in a rat with a severed spinal cord, allowing the animal to breathe without the assistance of a ventilator. Normally, the brain is responsible for sending and receiving the signals necessary to control respiration. However, when a patient’s spine is damaged at the level of the neck, those messages won’t be able to travel along their regular channels. Ventilators are brought in to facilitate patient breathing. The therapy seems to allow the spine to bypass this channel and commence breathing without the help of the brain. The subject rats had severed spinal cords, so there is no way the brain could have been involved in the breathing. The research can be found published in Cell Reports. The researchers think the treatment triggers a survival response in the subjects. According to Dr. Jerry Silver, “This is a primitive response that has been kept in the spinal cord for emergencies, like gasping and screaming in response to danger.” The movements observed by the team resembled breathing, yet they are not positive that it would allow for sufficient respiration to sustain life. Additional research could reveal the tremendous impact this therapy could have for human patients with spinal cord injuries. 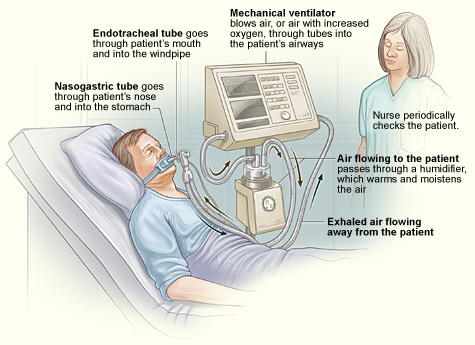 Dr. Silver mentions that the use of ventilators can often have dire consequences for patients. “Infections and other complications from mechanical ventilators are a leading cause of death after spinal cord injuries.” Bypassing the need for the brain to breathe could help keep the risks from compounding, thus further complicating an already arduous treatment. That being said, this work is still far from even being tested on human subjects. However, the research into this particular therapy could be illuminating for other spinal injury treatments. By improving our understanding of the spinal network, similar research could provide key discoveries that may help patients in the more immediate future.